In the world of SEO, knowing how to go about ‘Writing for the web’ can be hard, especially now Google guidelines for content have changed. Here at Headred we have picked out some key things to consider when creating content. Anyone can pick up a computer, tablet or even their phone and write content for a website instantly nowadays; learning to write great content has never been more important to stand out. Not only to gain but also to retain an audience. With Google algorithm, came marketing teams moving away from the content and quality of their text, to the stuffing of keywords. In doing so companies lost the ability to focus on their customers across their online presence. However as time has progressed, the purchasing, marketing and competitor landscapes have changed, and so once again has the nature of writing online content. Both Google through their algorithm updates and customers themselves are now forcing the spotlight back onto writing quality, valuable content. Well essentially customers of both your industry and of Google are driving forward this change. Consumers now have more choice across all landscapes, so as with our own companies Google also has to compete with others in its marketplace. The only way they can do this is to offer its users better results in the form of the best websites for the query ranking on the SERPs and less spam. How Google perceives the value within a webpage in order to rank it on its SERPs has many factors, however with the introduction of both the Panda and the Penguin algorithms updates, Google now penalises more for black hat techniques which includes keyword stuffing, and is equipped to recognise unique, new, and quality content written. Of course it still recognises the keywords but now it can determine its worth within context. WHO? As with all great stories, it begins with a who? At this point we all jump up with a ‘Who is our Audience?’ ‘Who are we writing for?’ and often overlook the ‘Who are we?’ Its sound pretty deep but yes, of course knowing who your audience is and writing for them is important, but who are you? Who is your company; its personality, its tone? Content on the web is reaching more and more people, and it is likely you will not meet the majority of your audience face-to-face, in particular with many firms operating solely online. So it is important that any content you write reflects the face you want to show to your audience, whether it be humorous, professional, quirky, this ‘personality’ should be consistent (although you can vary it across platforms e.g writing for a webpage may be more professional than those snippets of content you post onto social depending on whether your audience differs). Remember you don’t want to be writing to appeal to corporate professionals in one blog post, tweet, webpage and then too laid back on another; this will influence who you appeal to and so can restrict your ability to retain an audience. Looking at ‘who’ In terms of your audience. You should naturally determine who you are intending to write for, remembering as said previously that your audience/readers can differ depending upon the online platform you are writing for. So you should look at whether it is primarily customers who are reading your webpage, industry professionals reading your blog and so forth. Alternatively if you are beginning from scratch- who do you want to attract to your content?! What are they looking for? What questions are they asking? You should think about their NEEDS. WHAT? What is the aim of your content? Is it to inform your audience of news, offers, what you do, where you operate from? Is it to teach about your products/services? Is it to call to action your audience to make a purchase, enter a competition? Thinking about the ‘what’ of content is as much important as the ‘who’. Without an overall aim of the content a piece can lose direction and fail to achieve the desired result. So you should think carefully about what you want the outcome of reading the content to be for the user. Also within the ‘what’ of writing for the web you should think about what you are going to write, about which may seem obvious to you, but often in cases such as blogs where you are looking to regularly add content you may begin to struggle to think of ideas. A key recommendation (dependant on where you are writing) for this is to look around; have a look at news specific to your industry which you can write about, or take articles which have already been produced and make an opposing view or comment about it. 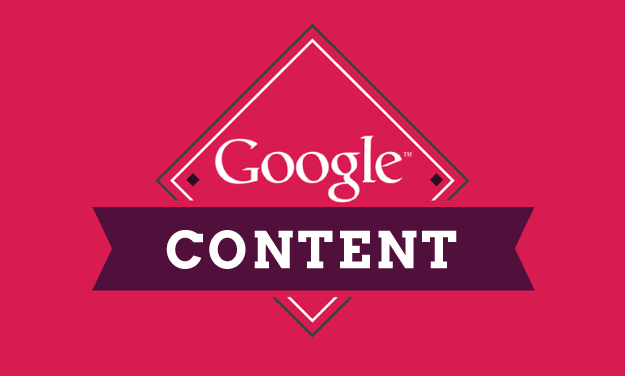 But remember content needs to be unique to pass through Google’s new Panda algorithm! WHERE? Where should you post the content? Well really this should be considered at the same time as ‘who’. As they both reflect on one another. Likewise the what of the content will impact where it will be most appropriate to reach your target audience. For example, if your content is a small call to action then it may be better suited to social media, whereas if it is a big informative piece about your product it would suit a website more. You should also consider if you intend to use any other media in your content barr just text, such as videos, photos, or slideshows; as not all online platforms are able to support all media forms. WHEN? When should you post any content? Well really this depends on what and where the content is for. Is it for a webpage? blog? Or social media? If it is for a website then often this should be published asap to update the page, or in time for a webpage launch. For a blog it is a good idea to set a schedule for each post to go out, say once a week/month; that way you can create an audience who is expecting and waiting for your post to go live if they are a regular reader, and so the blog becomes a part of their own schedules for reading. In terms of social media, there are many tools available which can show what time of day, and also day of the week your social audience is active. You want to get social media posts out when the majority of your target viewers are active and will read it. Writing content is a very personal thing; this considered you should always get feedback on a piece before publishing. Another pair of eyes can always help to spot grammar, spelling or punctuation mistakes as well as ensure you have made you point effectively. Any feedback even negative is good feedback to receive. Don’t forget that although the focus is on quality and value of content, you should also try and naturally get some of your keywords into your writing. Doing this you should ensure these are in context, are not detrimental to the overall piece of text, and also you are not ‘stuffing’ the piece full of keywords. Remember you are aiming to create Value not only for your Customer but also for Google!